Do you like to have a special breakfast or brunch at the weekend? On Sundays we usually have bacon on a roll with our sauce of choice, it's not very exciting but a change from the Bircher Muesli we eat the rest of the time. 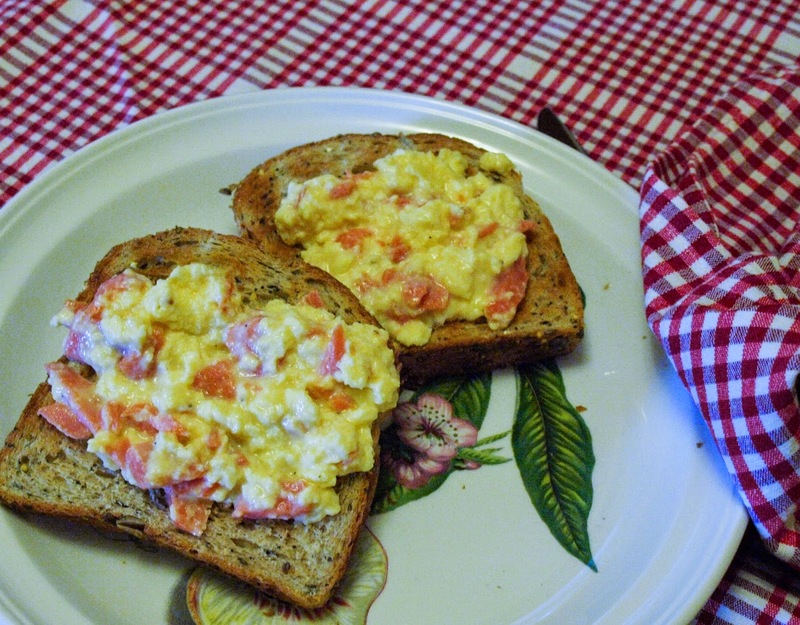 We recently had to be out of our house for the weekend and stayed with a friend, so I thought that I would make Scrambled Eggs with Smoked Trout as a special treat for us all. If you know how to make scrambled eggs you won't need a recipe for this dish, just add in the finely chopped Smoked Trout when the eggs start to clump and once cooked serve on toast. However, if you would prefer to follow a recipe then just follow the Smoked Salmon and Scrambled Eggs recipe on the Fish is the Dish website. 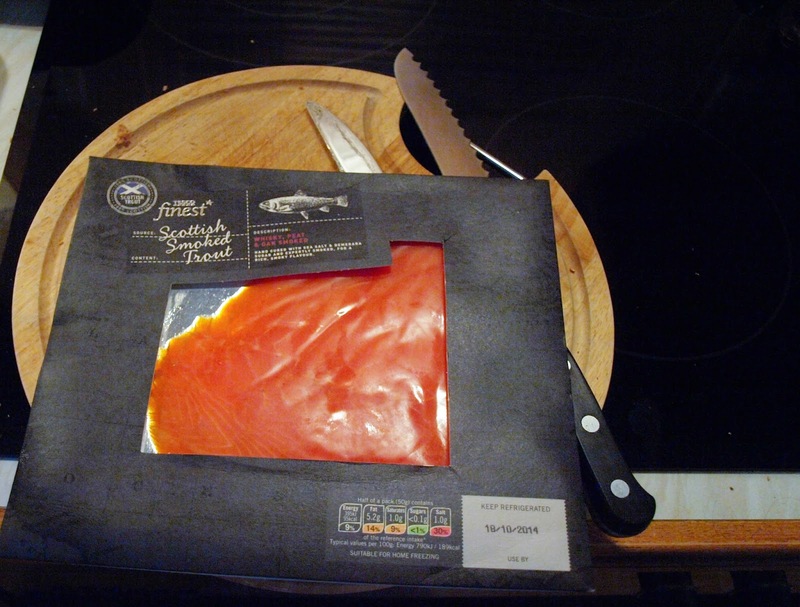 Farmed Smoked Salmon and Smoked Trout are no longer the luxury items they used to be and if you look for the special offers they can be really reasonable. I bought this pack of Smoked Trout and the pack of Gravadlax I used in the Gravadlax Potato Salad for £8.00. Health experts recommend, that to reduce the risks of heart attacks and strokes, we should eat two portions of fish every week, one of which should be an oil-rich fish such as sardines, mackerel, herring, fresh tuna, trout or salmon. without doubt I am having this at some point of the weekend! Gorgeous!